Apart from Super Lobster Restaurant I had blogged previously, there are many restaurants providing fresh seafood for seafood hunters in Sungai Rengit, Pengerang. You Kee Seafood Restaurant is one of the seafood restaurants in Sungai Rengit. 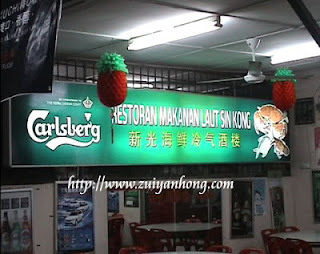 This restaurant had been highly recommended by Singapore MediaCorp Channel U television program. The service of You Kee Restaurant is too bad after the television program was brocasted. Based on the information of Cari Chinese Forum, quite many members of the forum unanimously impeached the arrogance of You Kee Restaurant. 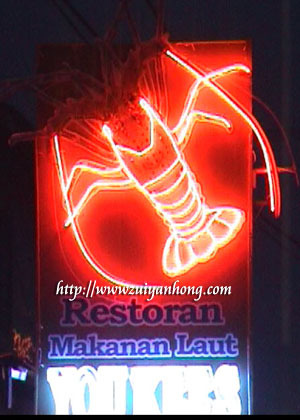 Good Luck Seafood Restaurant is located at Jalan Teluk Ramunia, Sungai Rengit. 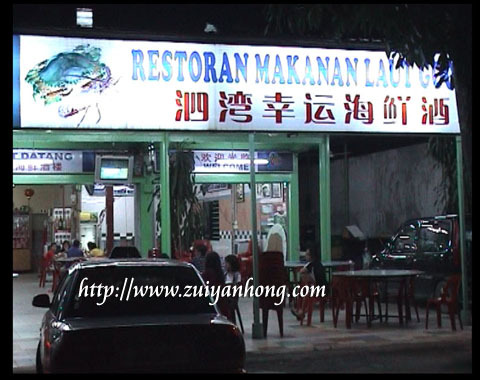 During our seafood hunt in Pengerang, we had one of our meals at this restaurant. We ordered a fish, a pot of Chinese tea and a plate of fried sweet potato leaves. This meal cost us RM 54.60. The fish was black in color and with strong muddy taste. I asked the waitress what's the name of the fish. She also had no idea and told me that is a black fish. 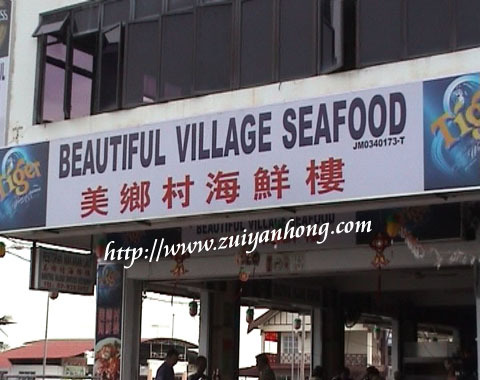 Beautiful Village Seafood Restaurant is located opposite Sungai Rengit Square. We had our dinner at this restaurant. I always have sensitive stomach problem, I rushed into toilet after taking the food. Luckily my wife's immunity is good enough, if not we will protest our dissatisfaction to the boss of the restaurant. Jade Garden Seafood Corner is another seafood restaurant available in Sungai Rengit. However, according to a local hotel owner, you have to check your wallet before stepping into this seafood restaurant or you will regret. 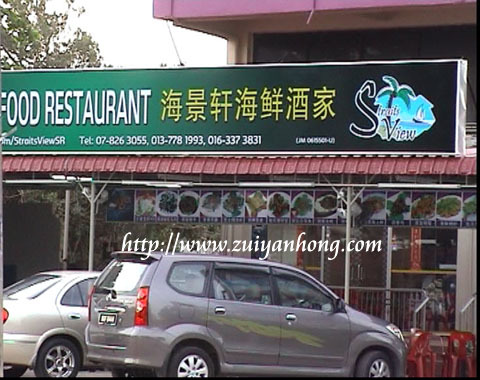 Straits View Seafood Restaurant is located at Jalan Besar, Sungai Rengit. From the feed back of a Sport Toto sale person, Straits View Seafood Restaurant is another choice. I didn't visit this restaurant so I have no comment. Besides Straits View Seafood Restaurant, there is another seafood restaurant located at Jalan Besar of Sungai Rengit, that's Hyann Seafood Restaurant. 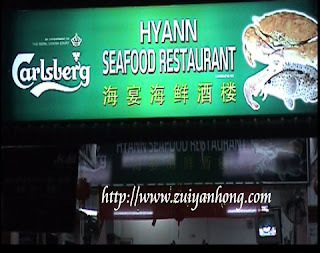 Passing by Jalan Besar of Sungai Rengit several times, Hyann Seafood Restaurant was crowded with customers. It seems that the foods of this restaurant are delicious. Sin Kong Seafood Restaurant, You Kee Seafood Restaurant and Jade Garden Seafood Corner are close to each other. 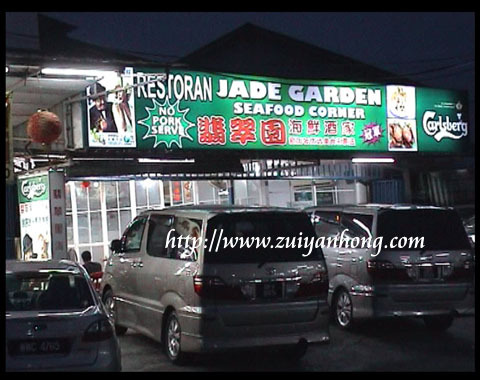 Jade Garden Seafood Corner is always full of customers but Sin Kong Seafood Restaurant and You Kee Seafood Restaurant are incomparable. In order to amaze you taste buds, you have to do some internet searching before your seafood trip to Pengerang.